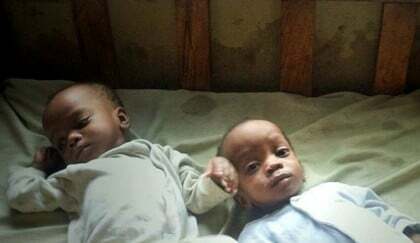 A non-governmental organisation, Divine Inheritage Home, Kiyi, Kuje, Abuja, says it has received increased cases of rejected twins and triplets in the community in recent times. The management of the home has therefore pleaded with Nigerians to show concern for such babies, noting that they ought not to attach myths to their births. Dr Chinwe Steven, the founder of the home, said this in an interview with the News Agency of Nigeria (NAN) when Latiwa Development Foundation, also a non-governmental organisation, inaugurated girls’ empowerment programme in Kuje on Monday. According to her, some communities in Nigeria still engage in viewing twins and triplets as mysterious babies, believing that they are evils and gods that should be put away from communities. She, however, commended the efforts of missionaries who she said had checked this belief drastically in Nigerian communities. The children we have here are not complete orphans, some have one parent and others both parents, we are saving twins in Bassa Komo community in Abuja where they believe twins are not human beings. “They believe they are evil and gods; and immediately their mothers give birth to them, they stop breastfeeding them, resulting in the deaths of some of them. “They believe by the deaths of such babies, including the albinos, they will have good harvest in their farms. “But the home is trying to orient the people in the communities, especially their mothers that the children are gifts from God and not gods. She called on Nigerians to support the home in the areas of their healthcare, education and empowerment to make them useful in the society. She said that the National Orientation Agency should also create awareness and enlighten those in Bassa Komo, Gbagyi Yama and Ganagana communities of the Federal Capital Territory, Abuja. Earlier, Latty Allara, the Founder of Latiwa Development Foundation, said that they were embarking on training of the children in various fields to make them useful. She said that the foundation was focusing on improving the lives of orphans, physically challenges and the less fortunate in the society, providing access to education, healthcare and rehabilitation, among others. Allara said as part of the foundation’s contribution to the society, it would build accommodation for the nannies in Divine Inheritage Home, renovate the building and train the children in fashion design.